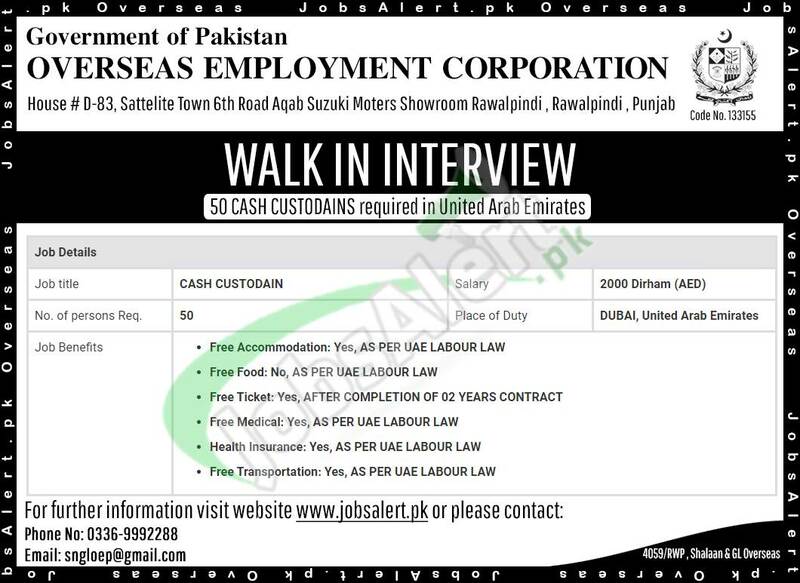 Apply for the Latest Jobs in UAE for Pakistani 2018 for Cash Custodian (50 Vacancies) announced today through private recruiting agency registered at Government of Pakistan. Individuals who are well educated and having experience in the Cash Handling field are welcome to apply for posts of Cash Custodian based at UAE Dubai. Candidates meeting criteria should apply and contact the following contact detail as soon as possible before the lastdate 03rd April 2019.